I have never said that I am a fan of Graham Hancock. I have stated that I am a fan of Andrew Collins. There is a huge difference between the two authors' works. As was pointed out to me long ago, once its out there its fair game. IN other words what you write and what others make of it can be two different things entirely. Good timing on that - my migraine medicine has run out. spice, the same goes for you as goes for min. I have no intention of pursuing Biblical Archaeology. You may be interested in God, the Bible, the construction of an Israeli national through abysmal archaeology, etc., but I am not. I have zero interest in the early Israel Iron Age. and the end of LM 1B. I will add that the prospect of an Israeli-Palestinian conflict with WMD brings a certain gloom to this holiday season. At some point the bill will come due. As you have never read my book you have no idea of the sources nor method I used for it. Your knowledge of impact scientists is similar: nil. I am pretty certain you never read my reporting either. luxe magazine wrote: Hancock: I’m working now on a big book on ancient America. Two main reasons for that; firstly, a lot of new science on the peopling of the Americas has taken a long time . It’s taken about 25 years to break the old paradigm. But the old understanding of the peopling of the Americas, which used to say there were no humans in the Americas before about 13,000 years ago, has now been completely overturned by new discoveries. Initially, those discoveries were resisted by the establishment very strongly, and many archeological careers were ruined – those archaeologists who were willing to acknowledge and older human presence. But lo and behold, they were right. The information has now reached such a level that it has overwhelmed the old paradigm; the old paradigm cannot stand in the face of new evidence of humans in America 25,000 years ago, 50,000 years ago, and most recently, a big paper published in Nature in April 2017: Human Presence in the Americas 130,000 Year Ago. That’s 10 times as old as human beings were supposed to have been, in the Americas! That’s in a site near San Diego in California. So, not only that, but DNA work is also giving us a new story about the peopling of the Americas. We’re now beginning to understand how complicated it is. There are certain fragments of DNA that are associated with a group of humans; not anatomically modern humans, but humans that have been a bit like the Neanderthals. They have bred with modern humans and left their traces in the human DNA, just like the Neanderthals did. That DNA is present very strongly amongst Australian Aboriginal Indians and amongst certain tribes in South America. It hardly appears at all in North America. So the notion that the whole Americas were peopled across the Bering land bridge once the sea level was lower, now the Bering Strait, and that the migration came all the way through to South America, is just wrecked by that finding. It means that people, human beings, had to have got to South America by sea directly, not coming through North America at all, and that raises huge issues about ancient navigation and ancient skills and ancient abilities. The second reason I’m very interested in focusing in on the Americas is that they have not played a big part in my work until now, and I’m just intrigued and excited by what’s happening. I got activated on this subject when I participated at Standing Rock in 2016 and got to know the Lakota, did some interviews there, and really for the first time I think, I understood the terrible genocide that was inflicted upon the Native American peoples and how their culture, their history, their true past was deliberately obliterated by the invaders, and how so many lies were told about them. I’d like it if my new book can help correct those lies. As a colleague put it to me, "Hancock is going to eat your lunch". It’s been a big week for Graham Hancock. A South African professor endorsed his lost civilization, and a luxury magazine conducted a fawning interview. Now, Bear & Company is getting ready to publish Spirits in Stone: The Secrets of Megalithic America: Decoding the Ancient Cultural Stone Landscapes of the Northeast by Glenn Kreisberg, and Hancock has his name on the cover as the author of the book’s credulous forward. Of the book itself there is little to say. It is more than 400 pages long and seeks to explore alleged stellar alignments among various rocks and earthworks in the northeastern United States to conclude that an advanced super-civilization once occupied the future United States. Weirder, it is partly the work of Kresiberg and partly an anthology of partially related essays by other writers. It is an odd book. ​Kreisberg developed his ideas while living near Woodstock, New York, which he identified as a center of megalithic star culture. He has been promoting version of the idea since at least 2011, including on Graham Hancock’s own website. I remember reading the linked article last year and finding it so unimpressive that I didn’t think to say anything about it. Kreisberg is also the editor of Mysteries of the Ancient Past: A Graham Hancock Reader, so you can see where from where he takes his inspiration. I feel like I should be reviewing Spirits in Stone, but I must confess that the thought of giving more than a cursory reading to 400 pages of minute arguments about stellar alignments makes my eyes glaze over. The problem is reducible to a simple point: Even if we accept that such stones and earthworks were indeed purposefully aligned to stars and constellations (and that they are all artificial constructions and not, as is the case with some, natural), it implies nothing about the existence of an “advanced” Atlantis-like civilization, for observation of the stars and the ability to point rocks at them is, in the final analysis, not an inherent development of state-level societies. Anyone with sufficient motivation and a rudimentary ability to carve records of stellar positions could do it. "What my rambles with Glenn have shown me, however, and what this book will reveal to you, are that those fragments are indeed present, even in the intensively settled, heavily farmed, and economically developed Northeast where the barbaric forces of “modernization” have been at work the longest, erasing and confusing the record of stone." Hancock is at a loss, though, to explain why North America, if part of the same global system of megalithic construction inherited from Atlantis, lacks the kinds of massive stone sites that the Old World has in spades. With the haughty condescension of a wealthy, liberal European, he attributes the missing stone structures to deliberate destruction by us heathen colonials who lack a certain European refinement and British comfort with deep history. ​He doesn’t quite identify who these incomers are, but when he said that “we” are their “descendants,” he makes plain that he is speaking, somewhat imprecisely, of European colonists. Perhaps stung by the repeated criticism that his hypothesis about a lost white race civilizing the brown peoples of the world is racist, or at least racist-adjacent, Hancock has here and in his newer work from the past twelve months or so overcorrected and all but falls into the trap of demonizing Europeans while fetishizing Native Americans as possessors of a purer and more harmonious ancient earth wisdom that makes them all but avatars of occult earth magic. Dr. Kathleen Holen's talk was entitled "Evidence for human activity at large animal death sites". She and her husband have been involved in over 50 excavations of mammoth and mastodon remains, in the Great Plains and elsewhere. Of course, not all those have involved evidence of human activity, but some have, and have returned dates far older then Clovis. Her emphasis in her talk was on what fresh bone looks like when it is humans doing the work of breaking those bones open. Including experimentation using heavy hammerstones with fresh elephant bones in Africa. I cannot recapitulate her knowledge, and won't attempt it, but will say she convinced me that there are reliable clues that can be demonstrated when fresh bone has been fractured by hominids wielding large hammerstones for percussion operations. Dr. Stephen Holen's talk was entitled "The Cerutti Mastadon Site in San Diego: 130,000 B. P."
Well, it was superb. I shook his hand afterward and told him I could not speak for Neara, but that I considered it an honor that he came to speak to us about what is grounbreaking(to say the very least!) research, to be able to hear the frontier research by the lead author of the Cerutti study. He replied that he felt honored to have been invited, and that it was wonderful to speak to an audience that was actually receptive to their study. Indeed! The blowback against them has been nothing short of relentless and fierce. They told us of one grad student, who had no experience excavating a mastodon site at all, publishing a reply stating that heavy equipment driving above the Cerutti bones while they were still buried, was responsible for the fracturing seen. Both Holen and his wife were incredulous at this suggestion, having, as stated, not only so much more experience studying megafauna sites, but being able to easily demonstrate the difference between bones broken by percussion while fresh, and bones broken when dessicated(which the Cerutti bones would have to have been if broken by heavy vehicles driving over their burial sites. Even at 130,000 +/-9000 years old, the Cerutti bones are dessicated, not fossilized. In other words, they are still bones). Regarding what I felt was one key observation I took away. European colleagues working on sites far older then sites in the Americas, as well as African colleagues working at the famous Olduvai Gorge Early Man sites, are near universal in being of the opinion that the Cerutti Mastodon Site is an archaeological site. Everyone, both old world and new world archaeologists, are of the opinion that the dates for the site are valid. 130,000 +/-9000 years old. The old world archaeologists and paleontologist recognize the fracturing as clearly originating in percussion blows by humans. American archaeologists, in sharp contrast, have been near universal in rejecting the findings. American archaeologists are of the opinion that the Cerutti site is not an archaeological site at all. But I felt the Holen's have effectively overcome these opinions. 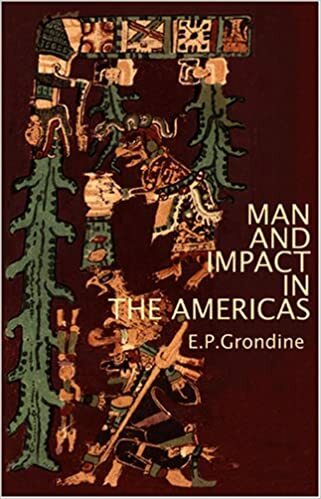 And that is why I thanked them for the honor of hearing from the lead authors regarding what I believe will lead to a major breakthrough in understanding the peopling of the Americas. BTW, already two additional sites have been located in California, which may show evidence of hominin activity, and both have returned dates of 80,000-100,000 years old. They told us of occasions where other sites have been destroyed because archaeologists had simply assumed a priori that the sites were simply "too old" and therefore simply not worth saving. In short, the Holen's won me over. I wish a tape of their talks were available, and that I could offer here more then my impressions based on memory. Regarding whether there are sites in the Northeast where Native Americans built in stone, well, archaeologist Dr. Curtiss Hoffman of the Massachusetts Archaeological Society favors an interpretation that does assign much of the stonework to prehistoric native peoples.. and has completed an inventory of such sites for the east coast of the United States. On the opposite side of the debate, archaeologists such as Rhode Island State Archaeologist Timothy Ives favors an interpretation that sees the numerous stone cairn sites that are common in New England backcountry hillsides as the product of field clearing by sheep farmers. In Vol. 43, 2015 edition of "Archaeology of Eastern North America", he outlined that viewpoint in an article entitled "Cairnfields in New England's Forgotten Pastures". Interestingly, Narragansett Doug Harris, of the Narragansett Historic Preservation Office, whom I also discussed offshore underwater sites with at the Neara meeting(the Narragansett have oral traditions locating village sites in Block Island and Rhode Island Sounds when those areas were above water), as well as many other New England tribal members do identify many of these stone structure sites in the Northeast with their ancestors, and not colonial and Post colonial sheep farmers. Recently, the town of Hopkington, RI, together with the Narragansett Nation, preserved and dedicated an interesting site contained some 1000+ cairns, as a Narragansett Sacred Landscape Site. At the least interesting, that in the absence of firm archaeological data one way or another, that such sites are being preserved. It's sort of a "better safe then sorry" approach. There is no shortage of Old World archaeologists and paleontologists who are in agreement with their New World colleagues about the problems with the site . Field clearance cairns look smuch the same as marker or burial cairns , excavation helps . There are always connections between megalith builders , but in the case between old and new worlds diffusion isn't one . With the exception of some medecine wheel type sites , it would be good to see some examples of the supposed megalthic sites and their putative alignments . Apart from money I can't understand why anyone would wanted to be associated with the Kreisberg book . but that is seldom if ever recognized. for my wanderings through recent impact events. so that it did not impinge on the study of impact events. The one is interesting, the other vital. as I am in no condition to defend any of the linguistic work underlying it. You may have noticed that I simply blew through a part of it in my notes on Luwian and "Minoans". structures in the Americas, and to gain a sequence. He had no 14C dates, no pottery sequences, and very limited data. people who do. The same goes for Colins, and I'd much rather see him go through that material. Why? I myself am deeply opposed to the idea of any single master race, or master races, one of the key tenets of theosophy. saw a hot story, and wrote it up. There is a spiritual vacuum that has developed here in the states, and apparently in Europe as well. and to fill that void they wanted something immediate and easy. A microwave dinner of religion, so to speak. that most people find the idea of recent asteroid and comet impacts to be outrageous. I have been very forgiving of the mistakes of others. as little more than the ravings of nuclear scientist looking for work. Therefore I have had to beg to be allowed to present the hypothesis and the data. I have very politely put up with a lot of crap. This has led to a general lack of respect for me, for the hypothesis, and for the data. I think that my New Years resolution is going to be to take scalps, metaphorically speaking. As peoples lives are at stake, this is the only course open. who are in agreement with their New World colleagues about the problems with the site . besides that there are very few people around who can see in their minds' eye the paleo environment. Tiompan wrote: Field clearance cairns look much the same as marker or burial cairns , excavation helps . Yes excavation sure does help. Tiompan wrote: There are always connections between megalith builders , but in the case between old and new worlds diffusion isn't one . You can not state that. you would have to know about sites in Ireland that are well under water. As well as many sites in the Black Sea and Mediterranean also underwater. Tiompan wrote: With the exception of some medicine wheel type sites , it would be good to see some examples of the supposed megalthic sites and their putative alignments. tiompan, what you do not know about Native American astronomy would fill a book. which underlays the NEARA folks interests. as very few of the NE sites have been excavated, no one knows with certainty if any of them are sites. If Fletcher and I ever locate an Andaste megalith in astronomical alignment, we'll let you know. As it stands we are still locating them. Tiompan wrote: Apart from money I can't understand why anyone would wanted to be associated with the Kreisberg book. You are unfamiliar with the cult process, and in particular with theosophy. but now finds himself a religious leader. Tiompan wrote: There is no shortage of Old World archaeologists and paleontologists who are in agreement with their New World colleagues about the problems with the site . Although I am not, at present, allowed to reveal the location of the site, excavation at a typical conical cairn site in Connecticut revealed ceremonial grade artifacts buried beneath several of the cairns. And it was not a case of the artifacts being there prior to construction of the cairns. No burials were encountered, either. I can't publish that location in a public format, for what I hope are obvious reasons. Not sure it's been written up as yet, either. 1. The cairns were constructed of split slabs of granite and squared-off granite blocks fitted in place, and not uncut cobbles as one might expect in field clearing. 2. The cairns often display a feather-laying technique of construction. That is, the split slabs have been tapered in thickness, with the thinnest section laid toward the center of the cairn. 3. More often then not, convex surfaces on individual slabs are face up. This, in conjunction with the slanting downward of the stones toward the center of the cairn, enables the structure to be tapered conically, as well as ensuring good drainage, thus preventing damage from frost heaving during the winter months. 4. While the average base diameter of the cairns is small, 4-5 feet, and the interior space limited, this space is filled with smaller fractured rock before the cairn is closed off at the top. Water reaching the center of the cairn will thus drain through fractured rock to the ground. In the case of the lower field of conical cairns in Parker Woodland, and at other sites here in Rhode Island, such effort displayed seems unusual for typical field clearing. In the upper cairn field, consisting of much larger cairns known as platform cairns, they are blended into the existing topography and make use of existing erratics in a way that ensures they too are very unlikely to fall apart over time. I will say, if I were a farmer, in the case of upland New England, a sheep farmer, I would not want the rocks tumbling back into the field over time. That said, there are plenty of sites where there does not seem to be any such concern, the rocks are simply tossed atop an ever growing loose pile. In the case of two of the largest platform cairns at the Parker Woodland site, trianguloid stones have been stood against the cairn, in one case pointing North, and in the other case pointing East. If I can get photos up here showing those features, I will do so. In any event, what limited archaeology that has been conducted at these sites, and I am thinking of the undisclosed eastern Ct. site, did reveal a likely native construct for that site. Speaking of the use of stone by Notheastern tribes in general, we know there is a Winter solstice alignment at the so-called Queen's Fort in Exeter, RI. Once thought to have been built by a Narragansett known as Stonewall John in the period of King Philip's War, the Narragansett themselves have oral traditions indicating an earlier construction and purpose. There is also an Archaic Era rockshelter in Ma., I'll get the site report and post it when I have the chance, which included a stone wall built at the entrance. The point being that American archaeologists have long assumed Northeastern natives did not build in stone. Not sure there was ever any real justification for that assumption. I have found myself in similar situation for a long time now. You can not report for fear of plundering. they will construct a grandious history for themselves. The more wiped out, the more grandous histor they construct. but the principle may hold with them as well. The only way of sorting out who was where is by mt DNA analysis. what discussion of Newport took place at NEARA? It looks like there are still those using that meaningless cliche . Why did you mention (X mt DNA) in relation to Andaste ? As mentioned a few days there are examples of , specifically X2a mt DNA in Indian populations but to be so general in the use of X shows an ignorance highlighted even further by the specificity of of Andaste . Much the same as another favourite "The X mt DNA height gene " . Much depends on the age of the cairn . In Europe clearance cairns can be thousands of years old and much degraded ,often little different from equally degraded cairns that have deposits below them . Field clearance is often found on top of erratics or large rocks as they are dead ground and it makes more sense to pile 'em high rather than take up good ground . I had a look for pics of the putative alignment at Queen's Fort in Exeter, RI, and came across a plan (Maver &Dix ) but no pics as yet . If stone is available , you would wonder why it wasn't being used . Just saw the pics of the cairns . They are clearly fairly recent i.e. not much older than few centuries and maybe even restored . Field clearance in the UK and Ireland can date from the 4th millenium BC and can often covered in turf/peat with nothing of the actual stones to be seen . Tiompan wrote: Much depends on the age of the cairn . In Europe clearance cairns can be thousands of years old and much degraded ,often little different from equally degraded cairns that have deposits below them . Which pics are you looking for? Maybe I can help. The tree cover atop Queen"s Fort at present would not make it possible to get a clear view, and hence photos, from the northeast "bastion" to the southwest "bastion". Also, the SW bastion was built sometme between 1979, the date of my earliest photos of the SW "bastion", and 1982, at which time it had been built up higher, and the short arm creating a spiral outline for that feature had been added. Before Mavor/Dix's book was published, I cautioned Dix that neither 19th century plans nor my 1979 photos indicated a spiral shape to the SW "bastion". in 1979, as in the 19th century plan drawings, the SW "bastion" was an open semi-circle in shape. I have photos from both 1979 and from after the rebuild, but there would be no good photos available in which you could stand at the NE "bastion" and actually see the SW "bastion" and the sun, at the Winter solstice. At least to the best of my knowledge. I'm also obviously not in a position to question any oral memories of the Narragansett regarding Queen's Fort. It was not located until after King Philip's War. It was assumed a brief engagement between Narragansett and English forces took place there a day or two prior to the Great Swamp Massacre of December, 1675. Although associated at that time with a known Narragansett mason, Stonewall John, that too seems to be an assumption that cannot be proven. Jim Egan, who runs a small museum across the street from the Newport Tower, delivered a talk,which I missed, entitled "Newport Tower Through the Ages: New Light on an Old Tower". As you may be aware, Egan favors an Elizabethan, 16th century, origin for the tower. He believes John Dee designed the tower. I'm really not enough up to speed on his research at all. Been too many years since I examined his writings and thoughts. I know Jim, have known him for years. Great guy and great speaker, but I missed his talk altogether. He also opened his museum on the Sunday of the meeting, when field trips around the state take place. Two things that come to mind that could be helpful are tightening up of the dates for the build and a palynological study to see what the tree cover was like during the approximate/more accurate period of construction . It doesn't look too old and surely can't be much older than the massacre . they should be considered as being part of an alignment . Why would the locals build an alignment to the solstice into what appears to be a defensive structure ? If there was tree cover a visual alignment would not make any sense . Stonewall John is possibly not getting the credit he deserves . someone's(? - party unidentified) current mapping of Xa2. It is clear they are trying to turn it into a mutation of a group crossing via Berringia. there is no continuous land route. 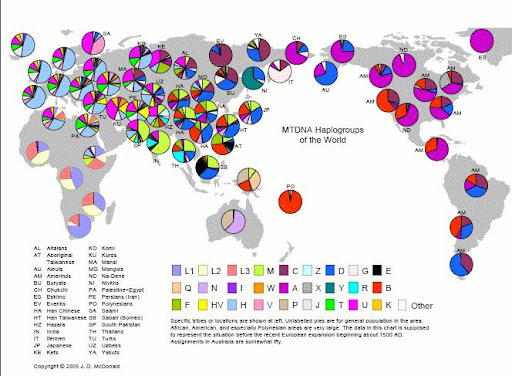 Note that whoever it is, their mapping of Mesoamerican mt DNA appears to be horseshit. "The X mt DNA height gene "
I suppose I could be more explicit: The allelle for height associated with X mt DNA. But that far is too many key strokes than you deserve, tiompan.